Cozy beer bar with a passion for metal and rock music. The only complaint you could possibly have with this place is that it doesn’t stay open long enough. You can put music on from their jukebox, challenge each other to foosball and play card games. They have about 30 kinds of beers. Bus 14, 5, 13, 21, 25, 35, 37, stop Bregenz Montfortstraße. Bus 1 stop Bregenz Bezirksgericht. Love this? Explore the entire list of places to visit in Bregenz before you plan your trip. Fancy a good night's sleep after a tiring day? Check out where to stay in Bregenz and book an accommodation of your choice. 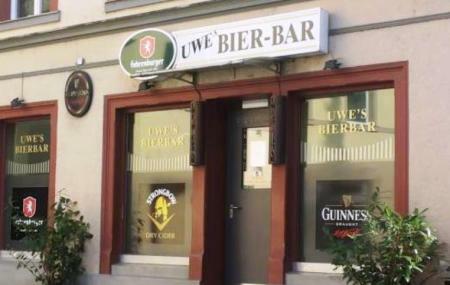 How popular is Uwe's Bierbar?